Sheila Nasmith, Jane Underwood and Diana Pegram were Montrealers who were all part of the mass exodus to Toronto during the 1960s and 70s era of Quebec political unrest. Settling into a new city, meeting new neighbours and friends, and exploring new surroundings, kept them, happily, very busy. When winter arrived however, they were desperately missing their ski fun back in the Eastern Townships. Luckily by then they had developed a new social circle of ski buddies in the Toronto area. And voila – these six ski enthusiasts came up with an idea. Sheila, Jane and Diana, together with Jeannie MacDougall, Jackie Bell and Carole Phillipson, set up the first Toronto ski trip (or club?) and recall it as being the winter of 1971. These six young moms organized car pools from both Toronto and Mississauga areas to Horseshoe Valley or Medonte, as both ski resorts ran a children’s nursery. The small group of seven or eight women soon grew to 20 then 30. When husbands wanted to join the fun, a couples’ bus trip to Osler became an annual event. Skicousi (snow worm) was the name chosen for this new ski club and many a young mom found like-minded friends in the cold – in the snow – on various ski hills north of Toronto. Choosing to operate Skicousi as a not-for-profit brought skiers together on level ground, and over time, membership swelled to nearly 400, which proved there was a great need in the community. In the early years Skicousi was mostly a ladies’ mid-week getaway – dotted with a few men. However, currently our membership has grown to include many more men as they have either retired or the word is out and schedules can always be adapted. We thank all the volunteers who have contributed so much over the past 45 years. Are you intrigued? 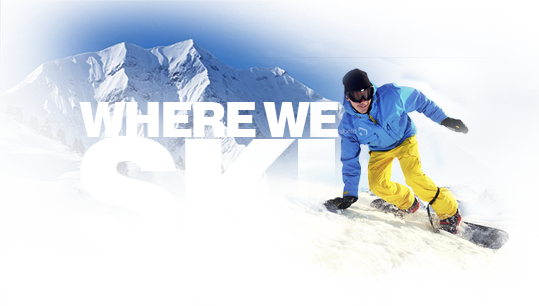 Do you want to liven up your winter, improve your skiing and meet some great people? If this interests you, please click on this link to Register. If you would like to speak to one of our board members, please click on this Contact Us link.